Chocolate Orange Cake – Real chocolate madness and perfect cake for chocolate lovers! 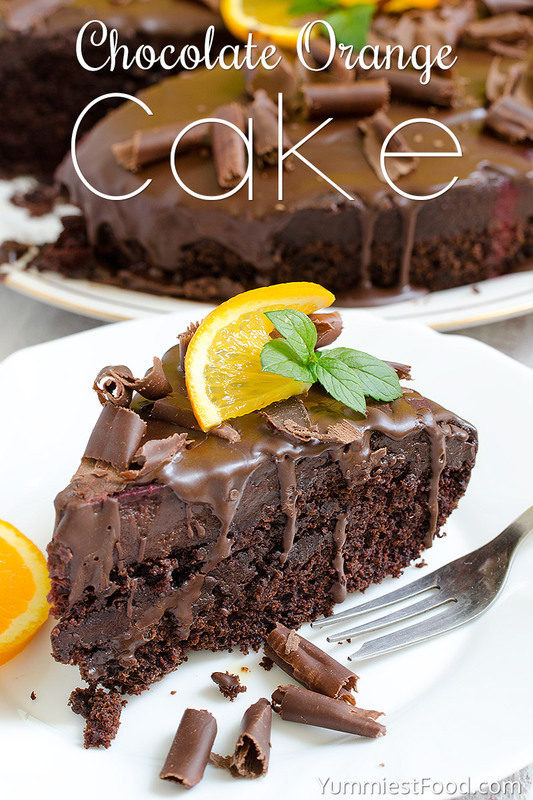 Chocolate Orange Cake is moist, rich, flavorful, delicious and simply gorgeous! 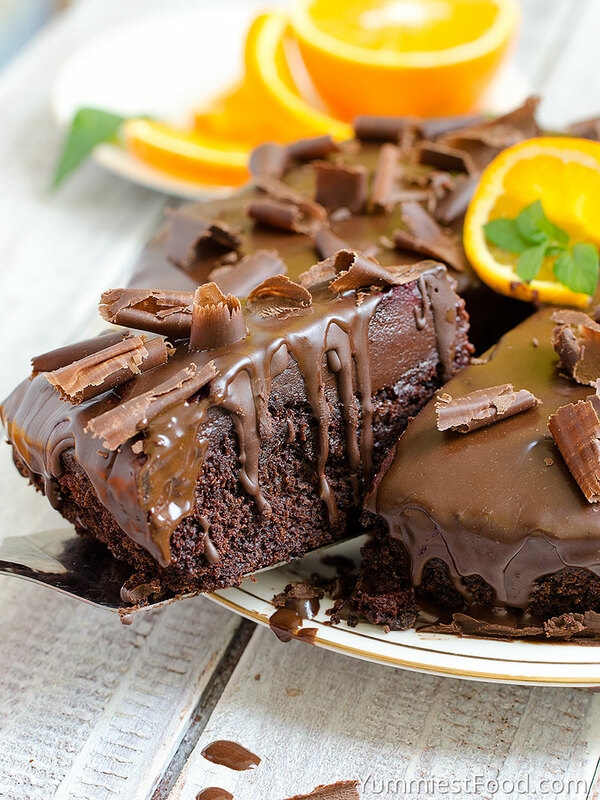 Try to make this Chocolate Orange Cake and surprise your family members. I am sure that they will like the both-good looking and taste. This Chocolate Orange Cake is very easy to make and I recommend it very often to my friends. 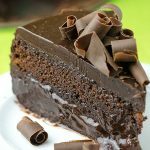 It is very moist, chocolaty, and delicious so you really need to get a try. When you see it, you can only imagine the taste. If you don’t know what to prepare for party dessert this Chocolate Orange Cake can be real option for you. I am sure that all of you have a busy lives, children, job, school, trainings, so you don’t have too much time to stay in kitchen. This cake is ideal for you, you need to devote yourself and then you will be happier and all around you will be happier too because of you. 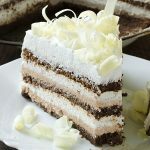 Try to make this chocolate madness and for short time get your favorite, delicious cake. 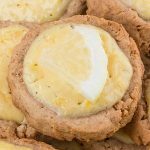 Fast cakes are the best because includes ingredients which you usually have in your kitchen, so you don’t need to spend time going in the supermarket. Every cake you make, if you make it with pure love and get your imagination when decorating I am sure that everybody will love. 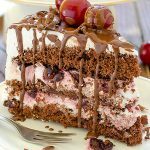 I am not chocolate lover, so I often make fruit cakes, but my family likes chocolate on every way and when I found this recipe I try to make it. This recipe is super easy, and this chocolate orange combination is perfect. I was surprised when I saw how light and moist is this Chocolate Orange Cake. The nice finishing touch is chocolate glaze and I am sure that this Chocolate Orange Cake will be favorite in your family. Enjoy! Chocolate Orange Cake - Real chocolate madness and perfect cake for chocolate lovers! 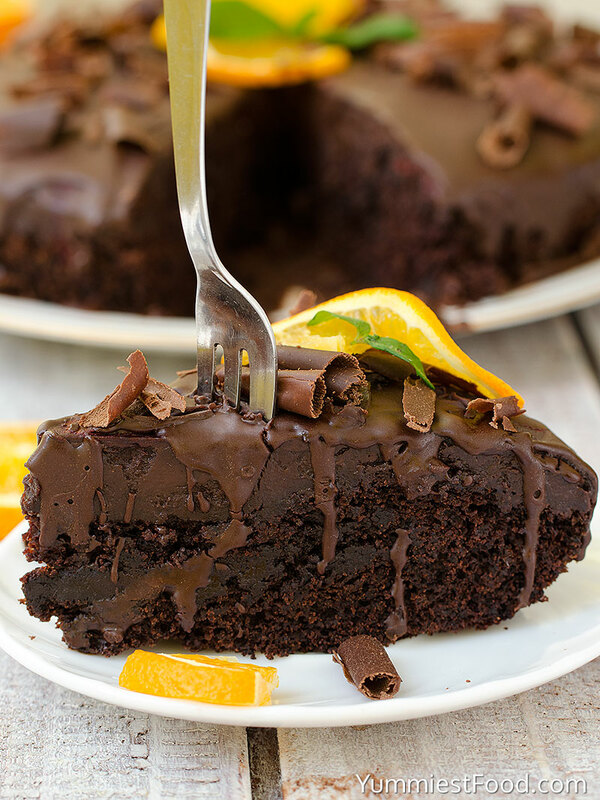 Chocolate Orange Cake is moist, rich, flavorful, delicious and simply gorgeous! Pour the batter in the pan and bake 20-25 minutes until toothpick inserted in center comes out clean. Cool and spread over the cake and place back in fridge until the topping has set. Just made it and loved it! Moist, chocolate goodness. Just what the doctor ordered! Can’t believe there is no milk, eggs or butter in this cake. I didn’t have heavy cream for the icing, so used my half and half with a pad of butter, to add a little more umpf… it is a little runny, but still delicious :-)…. 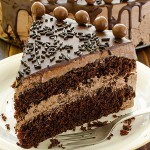 Love that is is a single layer cake, so you don’t feel guilty.. oh yeah, just a little to satisfy the urge. Can I use the same batter for making cupcakes ? Hi Ro, I haven’t tried but I think it would be good. Good luck! This looks so beautiful! And I’m sure, quite delicious. 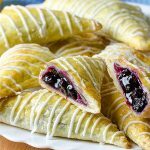 Any suggestions to substitute an all purpose GF flour? Combine all ingredients together and make sure they are mixed well. Store in an airtight container and use as flour in any baking recipe. Good luck and enjoy! There seems to be a step missing from the directions. Pour the batter in the pan and bake 20-25 minutes until toothpick inserted in center comes out clean. It says to spread the topping over the cake and place BACK in fridge. When was what in the fridge?? Is the cake supposed to be refrigerated after you take it out of the pan? When do you take it out of the pan? After it is cooled all the way? I’m going to have to do this blind because I just put the cake in the oven. I’m not an experienced baker and hope I do things right. Hi Lori, the cake don’t need to be in the fridge when you move it from the pan. You need to make topping and just pour it over the cake and then place it in fridge. Good luck! Hi .. This cake looks yummy but I have a question Can I use Superfine sugar other name Caster sugar? Hi Mere, in fact it’s really nothing more than granulated sugar that has been ground to a super-fine consistency. I haven’t tried but i think you can use it. Good luck! Hi Angie, i haven’t made it with wholemeal flour but i think you can use it. Good luck! Hi Catie, you don’t need to flip it out of the pan before you pour the glaze on the top. Oven baking times may vary so you can bake it a few minutes longer or check with toothpick to make sure it comes out clean. Good luck and enjoy! Hi, this looks lovely and I am just trying to figure out how to adjust it for a layered birthday cake. Is it too moist to double the recipe and stack two layers? 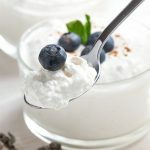 Hi Jennifer, you can double the recipe, I have tried doubled and tripled the recipe for major layering and decorate with the favorite frosting. Good luck and enjoy! This looks delicious! If I wanted to make it in a bundt cake pan, about how long do you think I should bake it? Hi Rachel, Of course you can make this as bundh cake, bake on middle rack of oven for 25-30 minutes. Check with toothpick to make sure it comes out clean. Oven baking times may vary, be sure to check your cake to make sure you do not over bake. Enjoy! 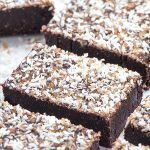 This cake is Heaven on a plate, and such an amazingly easy impressive dessert to make that I could become addicted! I made it twice in a 2-week period for family and friends. Would love to have shown you the pictures – it came out beautifully both times. I’ve made this twice in 24 hours…curses! 🙂 It’s really so good and so easy. Made it for a friends birthday. Absolutely delicious! So easy to make. Will be my go to from now on! This was an amazing and wonderful cake. It was easy to make and was absolutely loved. It will go down in one of my very favorites. If you want a silky, chocolaty taste this is the one! It is hard to quite eating it. Sharing it will be great fun too.